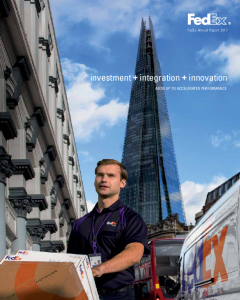 We are very proud of the solid financial and operational results FedEx delivered in fiscal 2018, and of our 425,000-plus team members worldwide for their dedication to the Purple Promise. 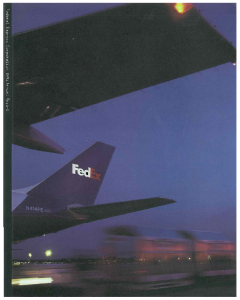 It was a year of opportunities and challenges — anticipated and unexpected — and FedEx emerged more competitive than ever. 2016 2016: Latitude. Longitude. Altitude. 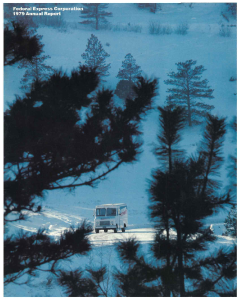 Latitude. Longitude. 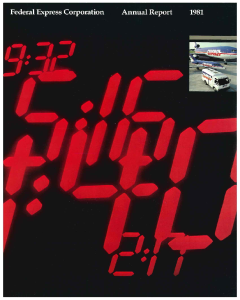 Altitude. 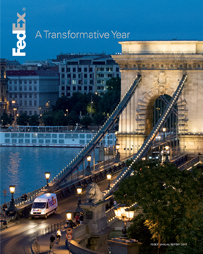 2015 2015: A Transformative Year Outstanding financial results highlighted a transformative year for FedEx in FY15. 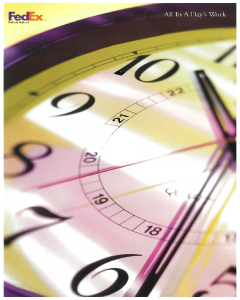 2014 2014: Decisive Actions. Superior Returns. The strength of our people powers the strength of our results. 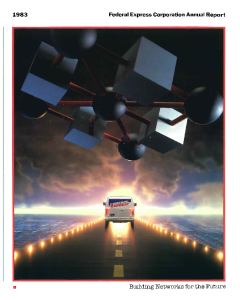 2013 2013: Forward We took aggressive action to boost future profitability. 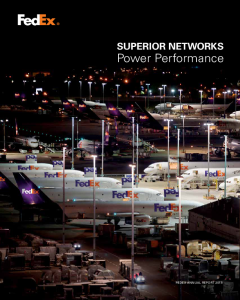 2012 2012: To Stay Ahead, We Go Beyond We committed to a strong performance, and we delivered. 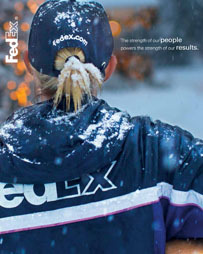 2010 2010: You Ain't Seen Nothing Yet FedEx does what strong companies should do in a downturn: Emerge stronger than ever. 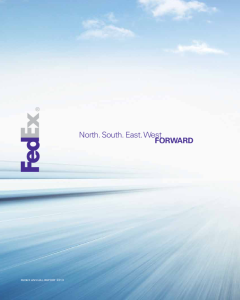 2009 2009: The Long Future From the day the company was created, FedEx tries to envision, and then build, what the commerce of the future will require. 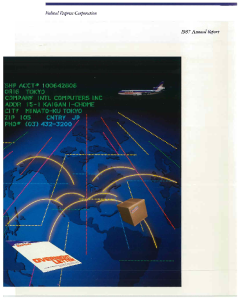 2008 2008: We Help Others See, Reach, Thrive	FedEx is an extraordinary collection of unprecedented networks. 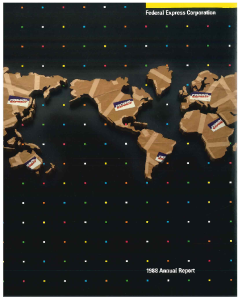 As the reach and influence of our networks expand, people's lives improve, communities grow and the global marketplace thrives. 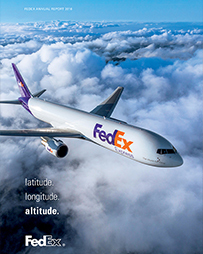 2007 2007: Possibility Speaks FedEx enters its 35th year of continuous operation proud to be a team that focuses on the future and new ways to help customers achieve their goals in the vast global marketplace. 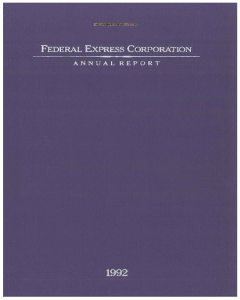 2006 2006: We’re All Part of Something Bigger FedEx Corporation achieves another year of record revenues and earnings, but results cannot completely capture the positive impact it sees from ever-expanding access to goods, services and information around the globe. 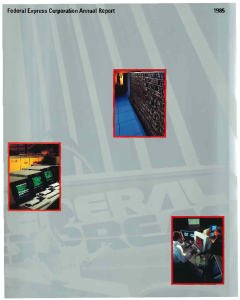 2005 2005: Can You See All That’s Possible? 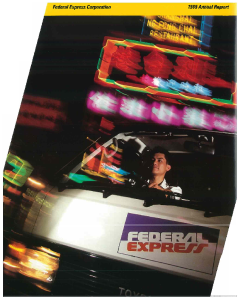 A snapshot of FedEx Corporation shows record revenues and earnings from solid execution of our business strategy. 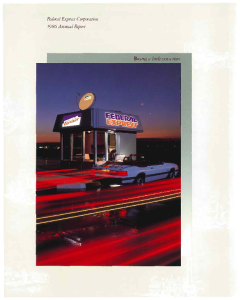 However the real story is not a single snapshot but the bigger picture — one of long-term, sustained growth and shareowner value. 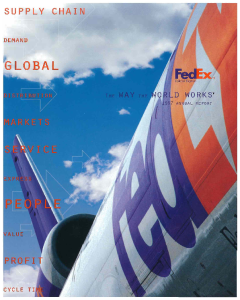 2004 2004: Shaping the New Global Marketplace While proud of its financial performance, FedEx is excited about prospects for the future, especially a trend redefining business and the world – the increasing desire for products from every corner of the globe. 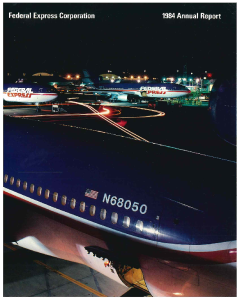 2003 2003: At the Center of It All FedEx continues to help shape and accelerate the fast-moving world of business. 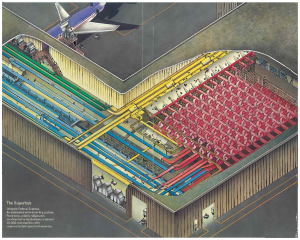 It’s at the heart of deep changes in global commerce, and creating new ways to serve customers and expand opportunities for growth. 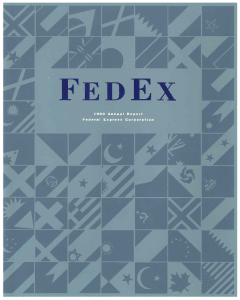 2002 2002: Leading the Way FedEx prides itself on being agile in the marketplace, anticipating opportunities and capitalizing on the unexpected -- a strategy that is a compass for decision-making and distinguishes FedEx from the competition. 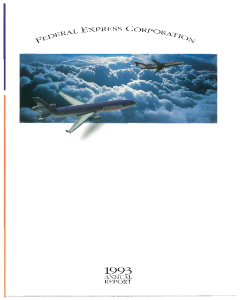 2001 2001: Great Challenge, Great Opportunity FedEx responds to an economic decline with prudent financial management actions without sacrificing long-term opportunity. 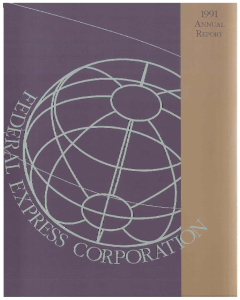 2000 2000: FedEx Corporation After two years as FDX Corporation, FedEx adopts a new name more accurately reflecting its corporate identity – FedEx Corporation. 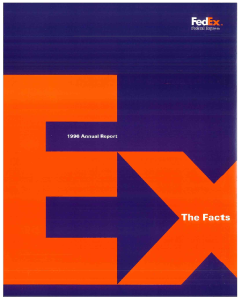 1999 1999: Delivering Superior Solutions Worldwide Across FedEx, the entire team is working together to provide total solutions that customers demand and deserve. 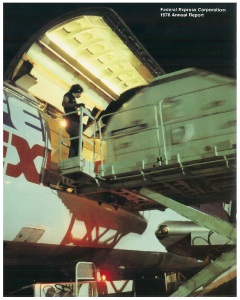 1998 1998: A New Era in Transportation – Again Twenty-five years after founding the express distribution industry, FedEx acquires the Caliber System, Inc. companies, leaders in ground small-package delivery, expedited surface shipping, less-than-truckload freight: and integrated logistics management. 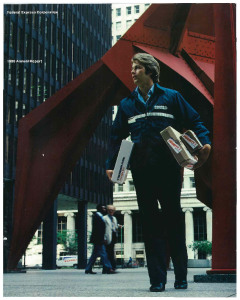 1979 1979: Absolutely, Positively, Overnight!